Markono helps our customers reach the world's fast growing economies. 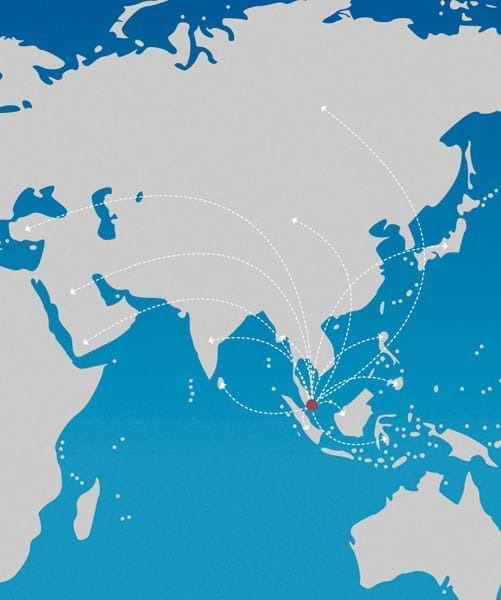 Headquartered in a geographically advantageous location of Singapore, Markono provides our customers the perfect gateway to reach the fastest growing economies in Asia. Singapore is highly connected - Singapore's container ports offer over 200 shipping lines with links to over 123 countries; its airport offers 6,900 weekly flights and is a mere 7 hours flight radius to most large Asian cities. Intellectual property thefts cost businesses billions of dollars a year. For our customers who are in the business of generating content, intellectual property are their most valuable assets. Ranked second in the world and top in Asia for having the best IP protection by the World Economic Forum, companies can rest assured that their intellectual assets are governed by a strong domestic regulatory IP protection framework. With 5 decades of experience, Markono has built a solid reputation for quality and reliability. We continually invest in the training and development of our workforce and upgrading of machinery. If you are looking to set up an Asian supply chain operation to tap on the abundance of opportunities located in the region, Markono is the perfect supply chain partner for you.